While the growing U.S. involvement in gambling appears to have brought a flurry of excitement, not everyone shares that sentiment. Not all sports and news programs want to jump into the deep end of the pool and embrace sports gaming. One of those television stations is a national network that is deeply involved in both professional and college football – CBS. The U.S. Supreme Court ruled against an earlier law passed by Congress in 1992. Called the Professional and Amateur Sports Protection Act, the law prohibited single-sport betting in every state except for Nevada. Gradually, though, the thinking of the country changed. Fantasy leagues, which resemble pro-football gaming, started to pop up all over the country. States began arguing that they deserved to decide for themselves whether to allow gambling. The state of New Jersey sued the NCAA because it wanted permission to allow gaming in its casinos in Atlantic City. The U.S. Supreme Court issued a ruling in May that PASPA was unconstitutional. The High Court agreed with the states that they should decide for themselves whether to legalize gaming. Since the U.S. Supreme Court ruling, sportsbooks have opened in New Jersey, Delaware, Mississippi, New Jersey, West Virginia, and Pennsylvania. Several more states will most likely have sportsbooks during the next five years, especially if they already have casinos. 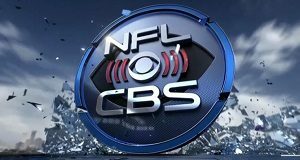 CBS has been a part of the history of the NFL beginning in the late 1950s. Each Sunday, it advertises and airs one or two games. In addition, CBS started to air content related to football, including player interviews and features. CBS also hired sports pundits to make speculations about which team would win the weekly games. They even aired stories on injury reports. CBS was also the first television network to hire a known sports bookie, Jimmy the Greek. The network paired him with another man who thoroughly enjoyed gaming in Vegas, Brent Musburger. Jimmy the Greek and Musburger were on the show “The NFL Today” for eight years. Then, Jimmy the Greek made racial remarks about African-American players. He never recovered from the scandal. Until the legalization of sports gaming last May, CBS had to content with veiled references to bookies in Nevada. Musburger referred to gambling interests as “my friends in the desert.” However, it doesn’t appear that CBS is going to refer to sportsbooks at all on its NFL or NCAA programming. The network told in-game announcers, as well as on-air talent during “The NFL Today,” they will not be allowed to make references to gambling at all. CBS has said it does not believe the majority of its viewers has an interest in gambling on football. In addition, some critics have pointed out the NFL does not want gambling references mentioned on its broadcasts. And, because CBS doesn’t want to agitate the NFL, it will not refer to gambling on its shows. While CBS has stated it plans to follow the NFL’s directions, what the other networks will do is unclear. Fox, NBC, and ESPN also broadcast football games. They have not said whether they plan to discuss gaming on-air. Many pundits point out the NFL gives networks contracts to televise football games, and those contracts expire in 2022. Just because the networks won’t talk about gambling while airing games doesn’t mean they won’t talk about it at all. ESPN has plans in the works for gaming shows. It already heavily promotes fantasy football leagues, which the NFL does not like. However, it has resigned itself to live with it.